Greeter – Charlie Langreder told the lunch crown of his archery hunting experience. He put in 100 hours tracking to two properties and setting 9 trail cameras. Unfortunately for Charlie, only the trail cameras capture deer, and lots of them. There were over 10,000 deer killed of the 363,000 deer in Missouri during this past hunting season. 47,500 were bagged during archery season. Of these only 14,000 were attributed to the new cross bow. Charlie is stringing his bow getting ready for next season. Special Request: Cyrilla Galbreath’s brother is very ill out in California. She flew out there on Sunday. Please keep Cyrilla and her family in your prayers. Motion was approved thanking Red for his service in selling Koeze Nuts on behalf of the kids in the community. He sold over $1,000,000 of Koeze Nut products. The board also requested a letter be sent on behalf of the Club in thanks of her part in supporting the Koeze Nut fund raising. Essay contest – Carl/Mike More applicants are needed. Carl encouraged members to get the word out. The application is on downtownoptimistclub.com/ The deadline for essays is February 10. The district winner’s award is $2500.00. Oratorical – Rick reported the ultimate prize money for the winner of this contest at the local, district and national level is $22,500. The contest takes place on March 4 at 10:00 at our clubhouse. More information will follow on the volunteer opportunities for this event. Computer Giveaway – Feb 18th– Rick passed a volunteer sheet for help setting up the room on February 14 for this event. The City provides their 3 year old, used computers, Volunteer Action Council chooses the kids who get the computers and the DOC provides the organization use of the clubhouse to acclimate the kids and family to their computer. Food Bank – Carl Scott will be late arriving today but volunteers can go over this afternoon. 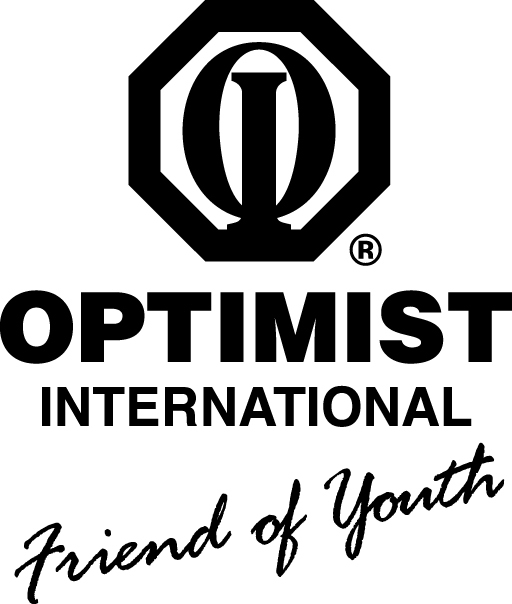 Also, Feb 2nd Optimist Day, members are encouraged to wear their Optimist hat or golf shirt or contact Carl for an “Ask Me” button if you want to circulate and have people ask you bout the Optimists. Carl suggests an event to celebrate a belated Optimist Day could be an MU Baseball Game Day. Their season begins in April. Bike Safety May 20th – Mary Dewey – Mark your calendar. Rootin Tootin Chili Cook-off – Scott Stager has agreed to honcho this event for us. He’s looking for a couple more volunteers – should be good with a knife to handle the chopping needed for the chili This fund raising event for the Boys and Girls Club of Columbia will be held on Feb18 which is a slight conflict with the Computer Giveaway. Art in the Park – Harold Rowe mentioned more information will be available as we get closer to the June date of Art-In-the Park See above as Board approved $1,500.00 for this event. Kids First Garage Sale is set for February 25. It was reported that when in 2013 he retired as Executive Director of the Conservation Federation of Missouri (CFM), Dave Murphy had business card printed with his new title, “Citizen.” The theme of today’s presentation reflected that sentiment as he recounted the successes that individual citizens are able to accomplish for the public welfare. This was a guiding principle when he served the Downtown Optimist as president and later as Lt. Governor. And, it continues to be a guiding principle in his years working for conservation in Missouri.. He talked of the history of the Conservation Federation of Missouri where in 1936 a group of 75 concerned citizens under the leadership of Etsy (sp?) Stephens met in the Tiger Hotel here in Columbia to forge a conservation plan for Missouri given the legislative inactivity. They settled on a citizens’ petition for a constitutional amendment to establish the Department of Conservation. The time spent educating the public while collecting signatures paid off. The constitutional amendment became the law of the law and the CFM has been defending it from the legislators’ attacks ever since. It took 40 years before the department got a budget with a funding stream, the permanent 1/8 cent sales tax. This revenue stream has grown from $25 million in 1976 to approximately $100 million today. And the struggle between CFM and the legislature continues. Director Murphy explained $100 million seems like a lot of money but it is less than 0.5% of the State’s annual budget. It supports land acquisition land and wildlife management in conservation areas. With only 300,000 large private land owners conservation areas are needed for the 6 million residents of the state. However, because the conservation areas are strategically located in or near the 114 counties, there is an illusion conservation owns a large amount of land. The fact is state conservation areas constitute less than 2% of Missouri land. And the conservation efforts continue to attract hunters. There is a positive return hunter ratio: for every 100 non returning hunters, there are 116 new hunters. Given all this Missouri is one of the top conservation states with healthy wildlife and forests in the county today. On the financial side conservation contributes $12 billion annually to the state economy. There is still work to be done in organic forests and disease prevention. There is the looming 1000 Canker Disease attacking black walnut trees. While there is no evidence of this in Missouri, the disease is moving east from California. Director Murphy, or just Dave as he is known by club members, has worked as the Director of Conservation for the Columbia Public Schools traveling to 23 schools to education students on the value of wildlife and conservation. In the ‘90’s he went to work for the Wild Turkey Federation as a field supervisor and eventually as regional Director of 4 states. He helped raise $2 million by growing the membership and creating a legacy of conservation. In 2003 he joined the Conservation Federation of Missouri as Executive Director. He got the job by telling them they needed to actively recruit new members. In his tenure he increased membership from 24,000 to 1 million. He retired in 2013 to return to his farm but that didn’t work out. The following year Governor Nixon tapped him to head up the Department of Conservation. His only problem was the need for unanimous consent of all 34 senators before he could be appointed. Even having known most of the senators, it still took over nine months to meet individually with each senator and gain their consent. He has two more years left to head up the Department of Conservation in his appointment. In concluding remarks Dave mentioned it would be possible to resurrect the DOC’s “Day with Wildlife” that former member Spence Turner had championed. It would be possible in conjunction with the new E. Sydney Stephens Conservation Center in south Columbia off Gans Rd. But his real passion at this time is to get kids interested in wildlife through art. The club could join with Art in the Park to engender a love for wildlife through kids’ art.